319 Pages | Third edition, 2nd reprint, 2013 | Paperback | Theosophical Publishing House, Adyar. The religious life is a life of love and understanding, serving to unite all people and all beings in one Whole. 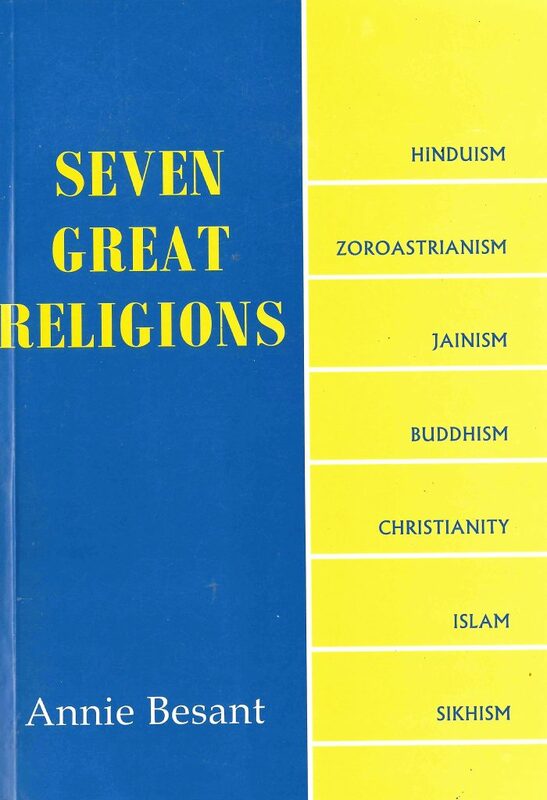 In this brilliant series of lectures, Annie Besant, former President of The Theosophical Society (1907 – 1933), delves into the world’s Seven Great Religions and their intended role of uniting and elevating the world. 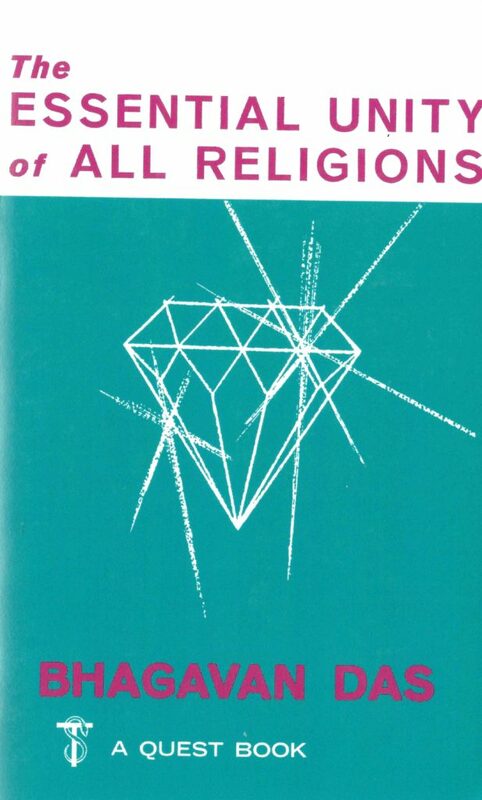 Small in compass, but peerless in depth and wisdom, this collection provides essential knowledge about Hinduism, Zoroastrianism, Buddhism, Christianity, Islam, Jainism, and Sikhism, culminating in the fountainhead of all religions, the Divine Wisdom of Theosophy. In this book, students of Religion, as well as practitioners will find a source of inspiration and knowledge, urging all towards purity of life, universal love and aspiration to Truth. Compiled by Bhagavan Das (1869 – 1958). 683 Pages | Soft cover | First edition 1932, 2nd edition 1939 | Quest Books, USA. Eleven religions are usually regarded as living and current at present. These, proceeding from East to West, are: 1. Shintoism born in Japan, 2. Taoism (or Laotsism), and 3. Confucianism, in China; Vedism (or Vaidika Dharma, or Sanatana Dharma or Manava Dharma, now commonly called Hinduism), 5. Buddhism, 6. Jainism and 7. Sikhism, in India; 8. Zoroastrianism (or Parsism) in Iran (or Persia); 9. Judaism (or Hebraism, or Israelitism, or the Jewish religion), and 10. Christianity, in Palestine; 11. Islam (or Mohammedanism), in Arabia. Parallel passages have been gathered in this work from the universally recognised Scriptures, and also from some other generally and highly honored writings, of these eleven. Madame Blavatsky, co-founder of the Theosophical Society, was the pioneer of the esoteric renaissance that took place at the end of the nineteenth century. Ever since, her writings have served as foundational source for modern spirituality. In his book, Pablo Sender presents Blavatsky’s profound but frequently puzzling statements systematically and in clear, concise language. He throws light on the nature of our spiritual essence, its evolutionairy unfoldment, and the work that we can do in daily life to consciously participate in this cosmic journey. “Within yourself is the light . . . The light of the higher self and of the Mahatma are not different from each other. In the presence of the Master the lower nature is spontaneously transformed. This is why in the taijasic state there is no need to fight, control or manipulate the lower. Passions and afflictions are powerful only when the pure awareness identifies with them. This practice, along with the a general ‘effort’ at leading a spiritual life, will eventually make the temporary state of ‘manas taijasa” more and more available, until it becomes permanent in the union of buddhi-manas. When we are aware of our innate divine Wisdom, conscious of our identity with everything , and aware of our transcendental and immutable nature, the human evolutionairy pilgrimage comes to an end. New field of self-expression open up to the liberated consciousness, which now becomes a beneficent force aiding human and planetary evolution. A Pilgrim hath returned back ‘from the other shore’. 201 Pages | First edition 2018 | Soft cover | Fohat Production, Ojai, California. 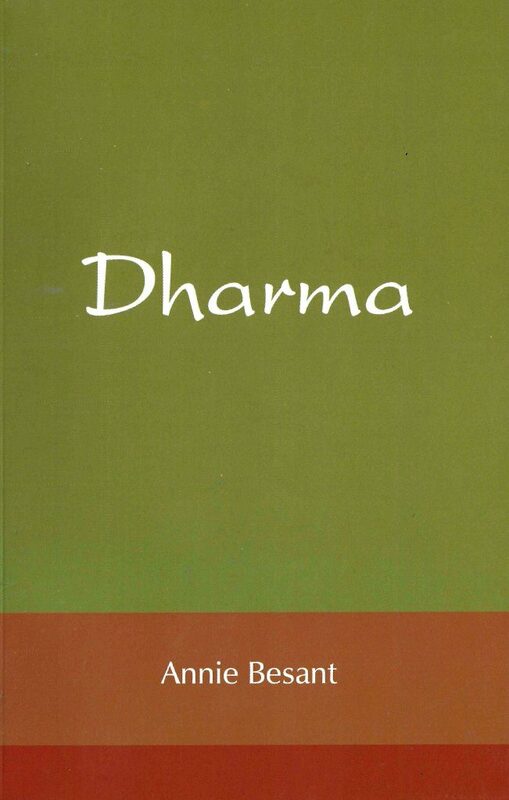 48 Pages | First edition, fourth reprint 2004 | Soft cover | The Theosophical Publishing House, Adyar. ‘Theosophy is not a Religion‘ says Madame Blavatsky; it is Religion itself, the Wisdom Religion from which individual religions have sprung. 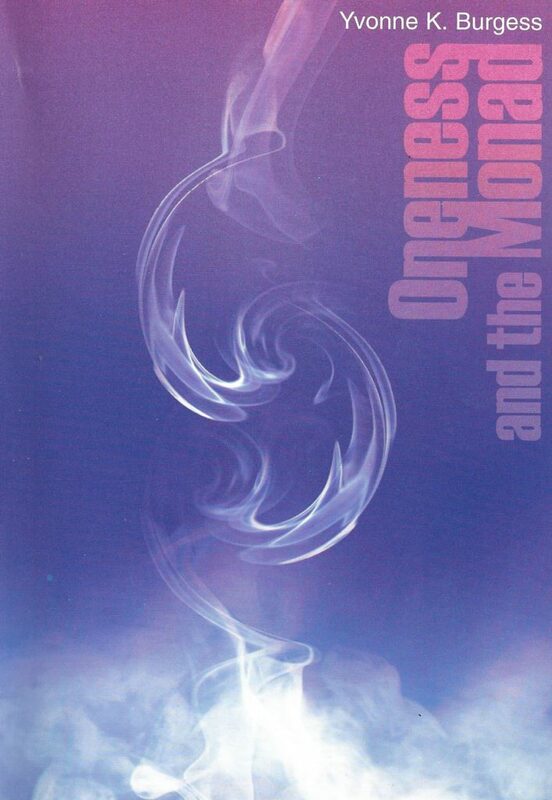 It is the one bond of unitym whicb is so universal and all-embracing, that no man as no speck – from the gods and mortals down to animals, the blade of grass and atom – can be outside of its light. Therefore, any organization or body of that name must be necessarily be a Universal Brotherhood. Theosophy can be practised by Christian or heathen, Jew or Gentile, by agnostic or materialist and atheist, provided that no one of these is a bigoted fanaticm who refuses to recognize as his brother or sister a person outside his own special creed or belief. Theosophy embraces every science in life, moral and physical, because it shows the connection of man and all things in the universe with each other. ” Religion is the best armour that man can have, but it is the worst cloak. – Bunyan. 212 Pages | Adyar First Edition 2008 | Hardcover | Theosophical Publishing House, Adyar. This book was published in 1883 and probably constituted the earliest sketch of esoteric teachings given in plain language. ‘Karma’ and ‘Reincarnation’ and other such terms, almost unknown in the West, thereafter came to be used in literary and theological circles. The author candidly acknowledges that it was the ‘favour’ (of the Adepts) rather than ‘effort’ on his part that helped the writing of the book. He received teachings of great Spiritual Teachers or Mahatmas through Helena P. Blavatsky (1831 – 1891). The book gives occult details concerning the Universe and its planets, going beyond the material world. 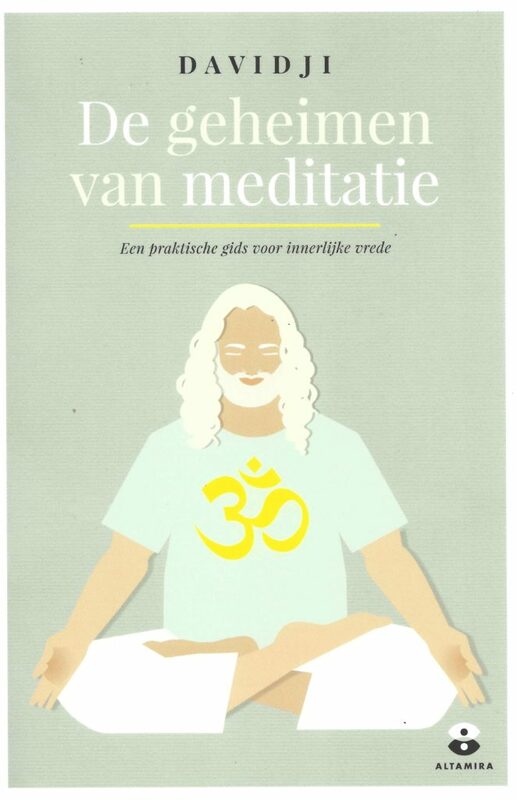 In De Geheimen van Meditatie laat Davidji je kennismaken met verschillende meditatietechnieken. Hij analyseert meditatie onder meer aan de hand van ademhaling, mindfulness, biofeedback, geluid, chakra’s, tantra en chanting. Davidji deelt zijn persoonlijke ervaringen met je en laat zien dat meditatiebeoefening een positieve impact heeft op gezondheid, relaties, emotioneel welzijn en spiritueel leven. Op toegankelijke wijze moedigt hij je aan de meditatietechniek te zoeken, die het beste bij jouw persoonlijkheid past. Op die manier kun je meditatie eenvoudiger integreren in je dagelijks leven in je dagelijks leven, zodat je steeds toegang hebt tot je innerlijke rustpunt. des te verder dwaal je van de waarheid af. en er is niets wat je niet zult begrijpen. maar ijdele schijn najagen betekent de bron over het hoofd zien. – Het zen-gedicht Xinxin Ming (Hsin Hsin Min) in Het Oog Slaapt Nooit van Dennis Genpo Merzel. 25 Pages | Blavatsky Lecture 2017 | Soft cover | The Theosophical Publishing House, London. The Blavatsky Lecture is one of the most prestigious presentations in the Theosophical Society. 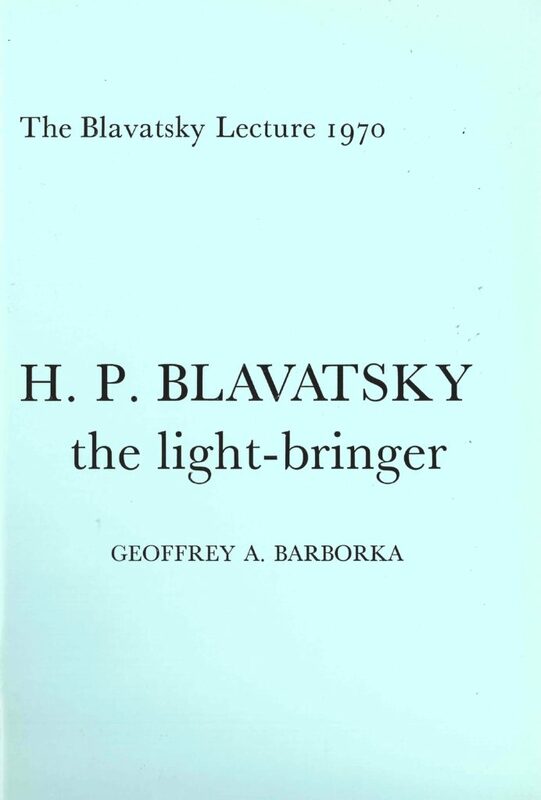 Partly, because of its longevity, continuity, subject matter, the eminence of its presenters, and the fact that for hundred years these lectures have been available as separate publications, the Blavatsky Lecture has achieved a unique position among theosophical talks. It is the equivalent of the Academy Awards of Theosophy. 85 Pages | Printed 2009 | Soft cover | The Theosophical Publishing House, London. As a being, man is a perfected animal, the vehicle of a fully developed monad, self-conscious and deliberately following its own line of progress, whereas in the insect, and even the higher animal, the higher triad of principles is absolutely dormant. – CW X p. 313. 35 Pages | Soft cover | Blavatsky Lecture 2014 | The Theosophical Publishing House, London. Life is full of potentiality from ‘the circle of heaven’ to Mother Earth and all that live within her. The extent of this potential is hidden from us in our mundane world, concealed, according to the ‘Ancients’, behind a veil of illusion in which we live and experience our everyday lives. Out of nothingness came the ‘Great Illusion’ into a state of potentiality awaiting the impulse to become an expression of new life – a new universe. The same potentiality also lies within us and we too can awaken to a ‘new world’; a world in which we are transformed from a place of ignorance to a state of Knowledge and Wisdom. Our taks is to find the keys which open the the doorway to the higher life. Helena Petrovna Blavatsky (1831 – 1891) (HPB) in the Secret Doctrine (SD) describes the process of Life awakening at cosmic level, from potential space to the abstract space of ‘divine immaculate Mother-Nature’. 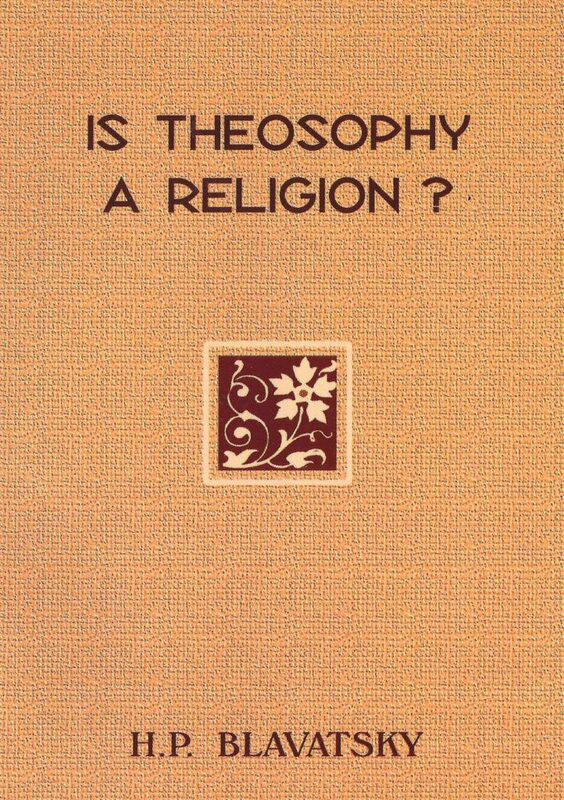 67 Pages | Blavatsky Lecture 1970 | Soft cover | The Theosophical Publishing House, London. This Lecture commemorates the coming to the Western world of one who was the representative of a great Brotherhood – a Brotherhood which is known by many names. One of its epiphets, especially in connection with its origin, is a symbolic one; the Sons of Ad or Sons of Fire-Mist. Little has been written about these Sons. However, the meaning associated with the term is clear enough; for it links up with the name given to those Divine Beings who came to the assistance of humanity during one of its most critical periods. These are the Agnishvatta Pitris, the awakeners of the fire – which signifies the Mind-principle. Geoffrey A. Barborka (1897 – 1982) was brought up at Point Loma, California. He had a classical education to which were added modern languages / German, French and Spanish+ and these were later supplemented by a study of Hebrew and Sanskrit. 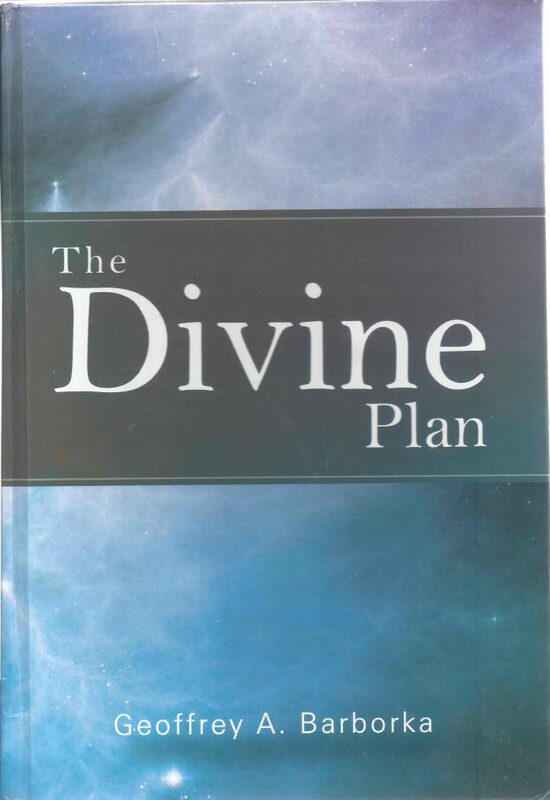 He is the author of a number of books, including The Divine Plan, H.P. Blavatsky, Tibet and Tulku and The Pearl of the Orient. 579 Pages | First edition, first reprint 2006 | Hard cover | The Theosophical Society, Adyar. With a title like H.P.B. Teaches, the reader may wonder: ‘teaches what‘? HPB herself gives the answer: ‘metaphysics, psychology, philosophy, ancient religions, zoology, natural sciences’. One might add occult symbolism, spiritual evolution, guidance on moral and social issues, after death states, cycles and human destiny. Aside from the major books she is famous for – Isis Unveiled (1877), The Secret Doctrine (1888), The Key to Theosophy and The Voice of Silence (1889) – it is estimated that in a brief span of seventeen years, from 1874 to 1891, Mme. Blavatsky wrote close to one thousand articles, essays, and letters to journals, which in many cases focus within the space of a few pages on the topics listed above. For the first time in one volume a representative selection of articles by Helena Petrovna Blavatsky (1831 – 1891), co-founder of the Theosophical Society, is available. The forty articles in this book cover every facet of HPB’s writings in English, including one of her semi-fictional stories. 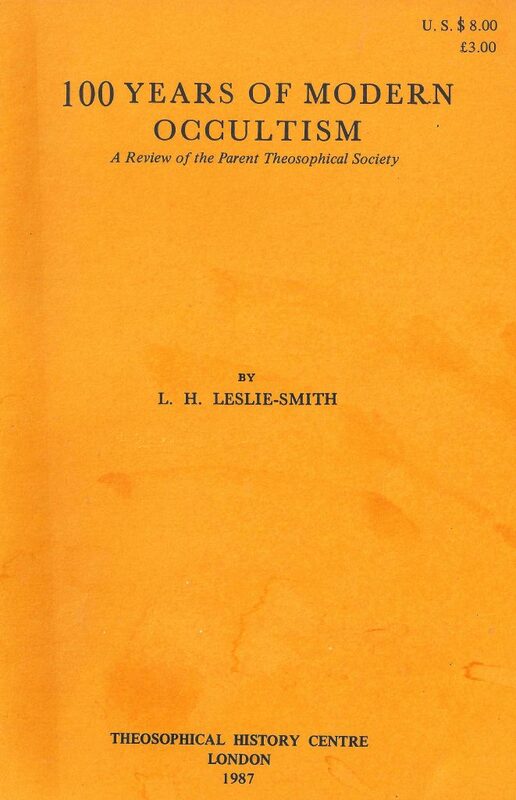 49 Pages | Blavatsky Lecture 2007 | Soft cover | The Theosophical Publishing House, London. On August 29, 1882, Colonel Henry Steel Olcott (1832 – 1907), President-Founder of the Theosophical Society, was in Galle, Ceylon, on a lecturing tour to raise funds for the opening of the schools for Buddhist children. One of the people who came forward to contribute was a man, whose arm and leg had been paralyzed for eight years. Olcott, who had read the literature on animal magnetism, or mesmerism as it was also termed, and magnetic healing in his youth, says he was moved to try some healing passes with his hands over the man’s arm, telling him that he hoped he might feel better. Later that evening the gentleman returned to thank the Colonel, saying indeed his condition had improved. This encouraged Olcott to treat the arm again. There was a marked improvement when he returned the next morning, and, after two more days of treatment, he could move his arm and open and close his hand. Olcott also tried working on the man’s leg, which responded well enough to allow his to walk freely and even run. To show his thanks, the now-healed man brought a friend, who was also paralyzed. When he was cured, others came in increasing numbers, to the point, the Colonel recalled, ‘within a week or so my house was besieged by sick persons from dawn until late night, all clamoring for the laying on of my hands’. Within the space of a year, he would treat some 8.000 people, until, at the verge of his own health breaking down, he was ordered by his teacher to stop. 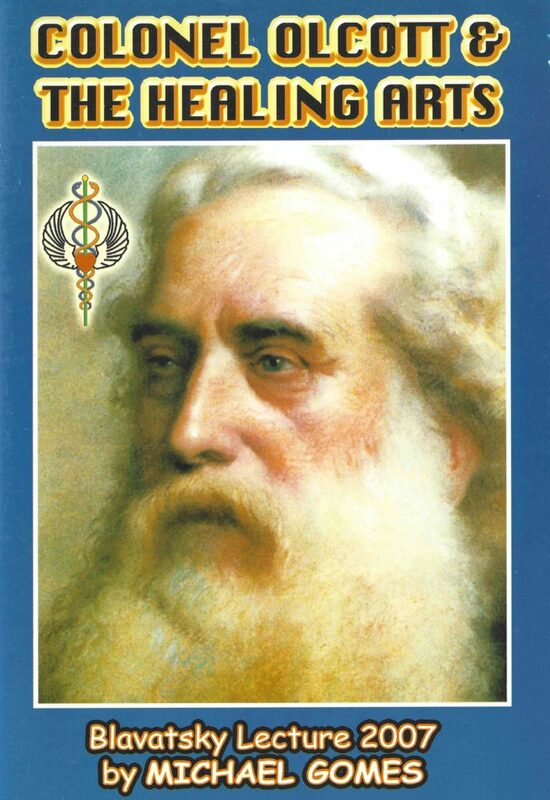 This little-known episode in the work undertaken by Olcott offers and instructive glimpse into the revival of alternative healing that was occuring at the time and which has now entered the mainstream. 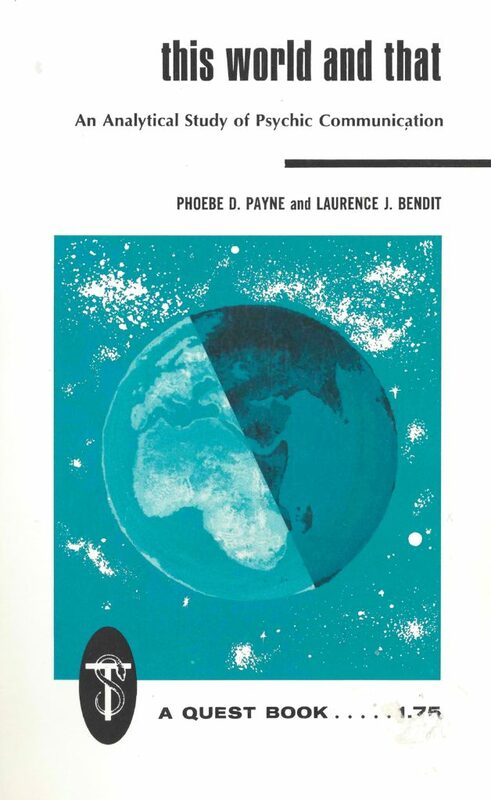 By Laurence J. Bendit and Phoebe D. Bendit. 192 Pages | First published in1950, Quest edition 1969 | Paperback | Quest Books, USA. Is it possible to have genuine communication between the living and the dead and what are the obstacles, which stand in the way? Can we find some rational explanation for the phenomena of spiritualism and the seance room? These are some of the questions discussed in this book, written by a British psychiatrist, Dr. L.J. Bendit and his wife Phoebe D. Bendit-Payne, a natural clairvoyant. Her personal experience and his medical training uniquely qualified them to consider together these and other subjects, viewing them in the wider context of man’s nature and capacities. No pat answers are offered but rather the reader is encouraged to think for himself about the mystery of existence in this world and the next. auteur: Payne, P.D. & Bendit, J. 271 Pages | First edition, 7th reprint 2004 | Soft cover | The Theosophical Publishing House, Adyar. The author of this book, Charles Webster Leadbeater (1854 – 1934), was a clairvoyant whose range of experience of occult phenomena and unusual happenings waa extraordinary. 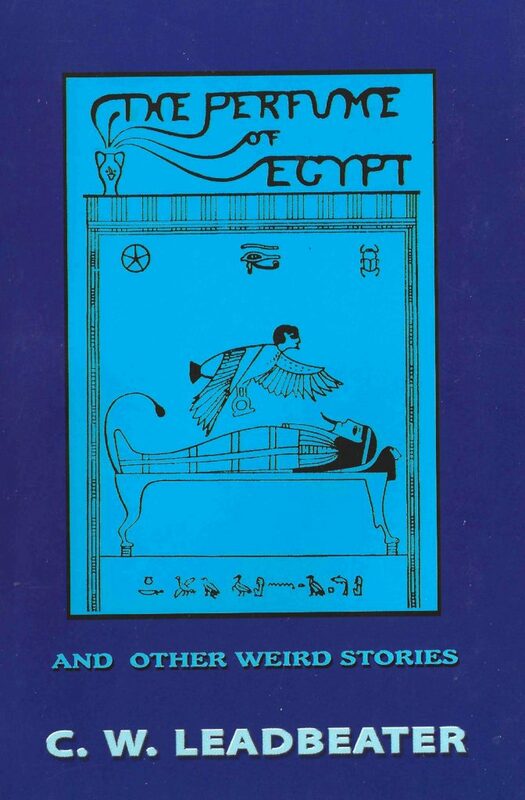 The Perfume of Egypt is a collection of ‘weird stories’, mostly about ghosts, which is both fascinating and informative, because they represent either personal experiences of the author or what he had heard directly from authentic sources. Comments by H. P. Blavatsky, comp. by Lina Psaltis. 132 Pages | 1972, Second reprint 2006 | Hard cover | Theosophical Publishing House, Adyar. 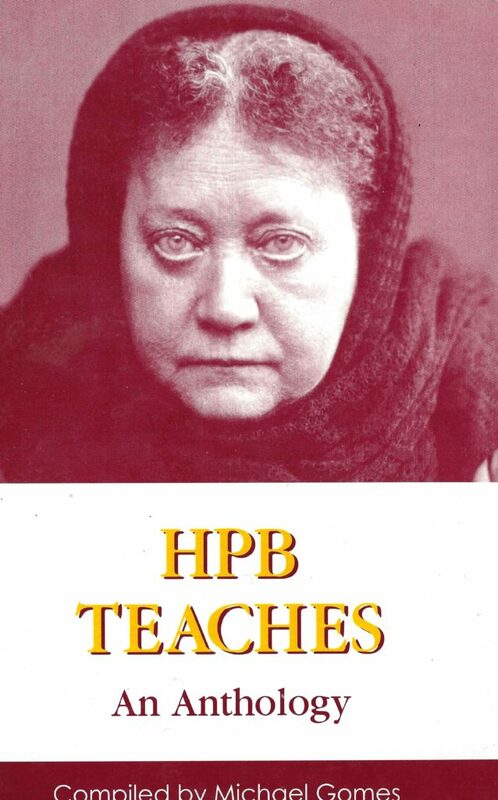 Psychic phenomena, magic, hypnotism, spiritualism, planes of perception, dreams, and spiritual progress – these are some of the subjects discussed in this collection of excertps from the writings of one of the most famous occultists of history: Helena Petrovna Blavatsky (1831 – 1891). In this small book the compiler has drawn together from various sources some of the important and interesting statements made by H.P. Blavatsky more than a century ago on subjects, which are arousing wide interest today. Her comments not only reveal something of her profound knowledge and wisdom, but are also fascinating, informative and relevant. They contain valuable advice to those who would dabble in psychic realms without being aware of their dangers and pitfalls. Collected Writings, Vol. IX, p. 162. Stephen Mitchell is widely known for his ability to make ancient masterpieces thrillingly new, to step in where many have tried before and create versions that are definitive for our time. His celebrated translations of the Tao Te Ching, Rilke, and The B0ok of Job have won the hearts of readers and critics alike. 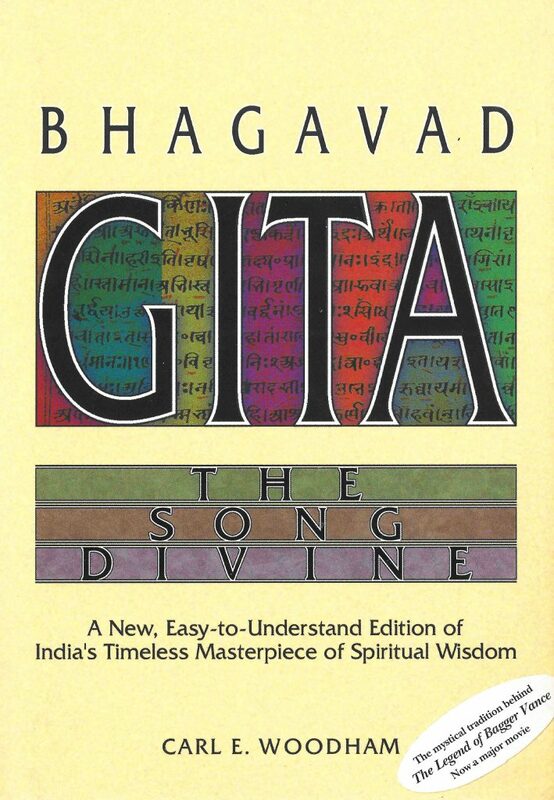 The Bhagavad Gita is universally acknowledged as one of the world’s literary and spiritual masterpieces. It is the core text of the Hindu tradition and has been treasured by American writers from Emerson to T.S. Eliot. 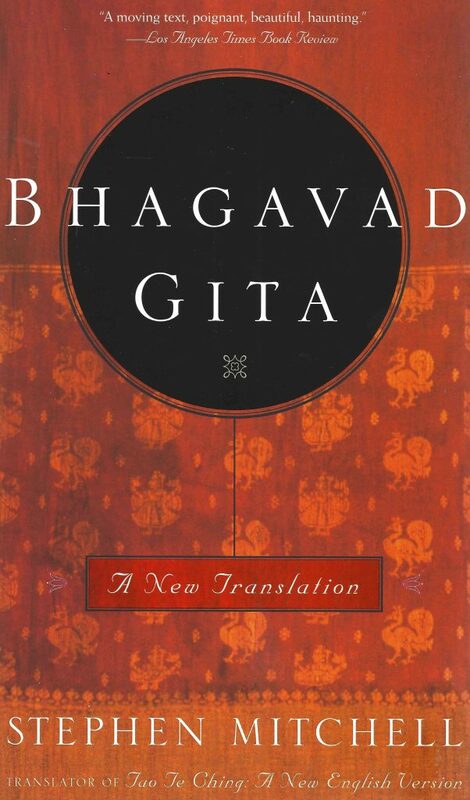 There have been more than two hundred English translations of the Gita, but none of them, until now, is a superlative literary text in its own right. This translation sings with the clarity, the vigor, and the intensity of the original Sanskrit. Translated by Laurie L. Patton. 234 Pages | First published by Penguin Classics in 2008 | Soft cover | Penguin Books, London | ISBN: 9780140447903. ” I am the father of the world – its mother, its arranger and its grandfather; I am what is to be known; the purifier; the sound ‘OM’; the Rig, the Sama and the Yajur Veda. I am the way, the bearer, the great lord, the one who sees. I am home, and shelter, the heart’s companion. I am birth, death and sustenance; I am the house of treasure, and the eternal seed. I give off heat, and I am the rain. I hold back and I send out. I am sweet immortality, as well as death; being and non-being, Arjuna. 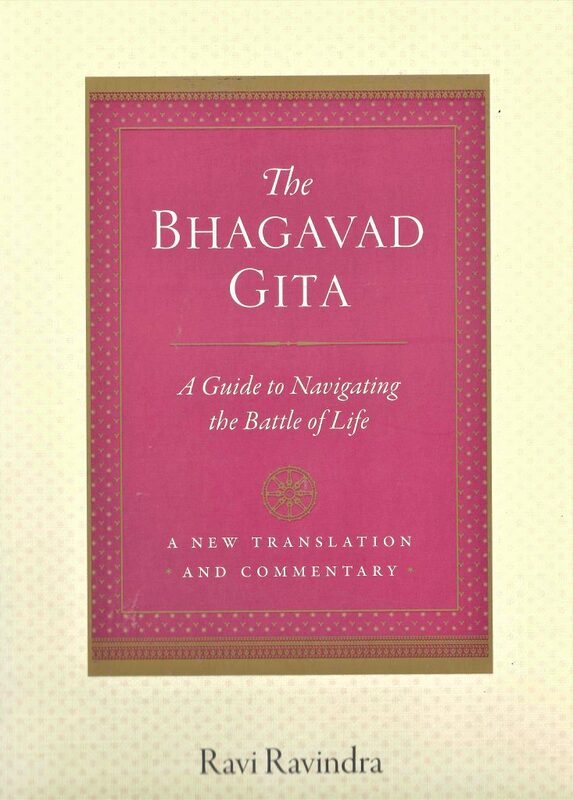 Based on the Bhagavad-gita As It Is by His Divine Grace A.C. Bhaktivedanta Swami Prabhupada (1896-1977). The Bhagavad-gita, India’s greatest spiritual treatise, contains far too much drama to remain the exclusive property of philosophers and religionists. Woodham presents the timeless wisdom of the Gita in contemporary English poetry, bringing to life its ancient yet perennially applicable message. 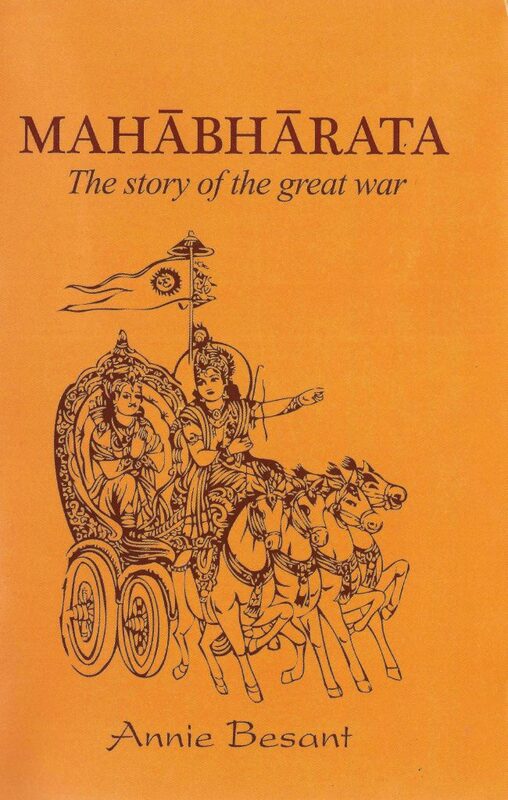 It recounts in metered stanzas the historic conversation between Krishna, the Supreme Mystic and the mighty warrior Arjuna as they survey the battlefield preparations for the greatest world war of all time. Krishna’s illuminating conversation with Arjuna forms the core of the Mahābhārata’s teachings, that has proven so inspiring to millions. Yet, it’s easy to overlook Krishna in the thicket of Bhagavad-gita translations. Most dismiss Krishna as a myth or a mouthpiece for some greater formless Being. To do so is to miss the central point of the Bhagavad-gita: bhakti, or joyous loving devotion to Krishna. The greatest luminaries of India’s rich spiritual heritage, such as Ramanuja, Madhva and Caitanya, have all drawn this devotional conclusion from Bhagavad-gita. Founded in 1985, the Theosohical History Centre seeks to promote interest in the history of the Theosophical Society and related fields. 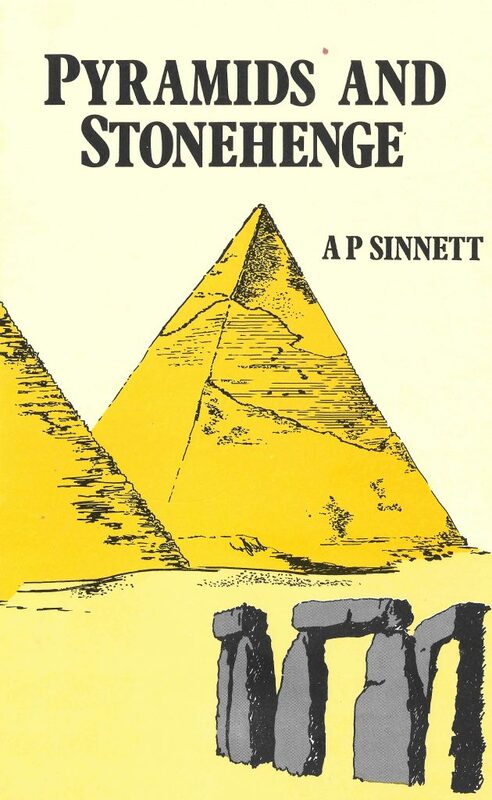 Two lectures delivered before The Theosophical Society, London, in 1892-93 and now reprinted in 1958 in respose to repeated requests arising out of modern interest in the Pyramids, Stonehenge and also Atlantis. Their value is felt to lie in the text as originally given, and no attempt has therefore been made to revise them. 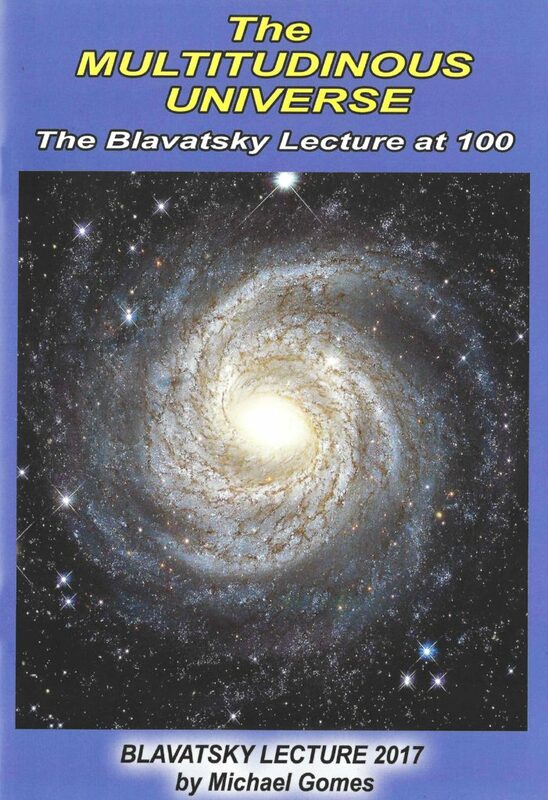 * The Blavatsky Lecture * delivered at the Summer School of The Foundation for Theosophical Studies, Wills Hall, The University of Bristol, Sunday August 2008. Helena Petrovna Blavatsky (1831 – 1891), as we know, at least once remarked that ‘Theosophy is not for dumbskulls!’ By that, her writings clearly demonstrate, she meant that the operative principles behind this all-embracing form of wisdom-philosophy have to be studied carefully and followed in practice before it can even begin to be properly understood. However, those principles are not be taken on board like some religious ritual, driven by blind faith and a happy assumption that somebody else will take up the full responsibility for explaining their full significance. What Theosophy is and how it works cannot really be understood other than through direct experience of the principles behind the operation of consciousness itself is regarded by the cutting edge of modern science as the next major frontier to be crossed, it is this subject which I propose to address today – although not perhaps in the manner which an orthodox scientist might adopt. 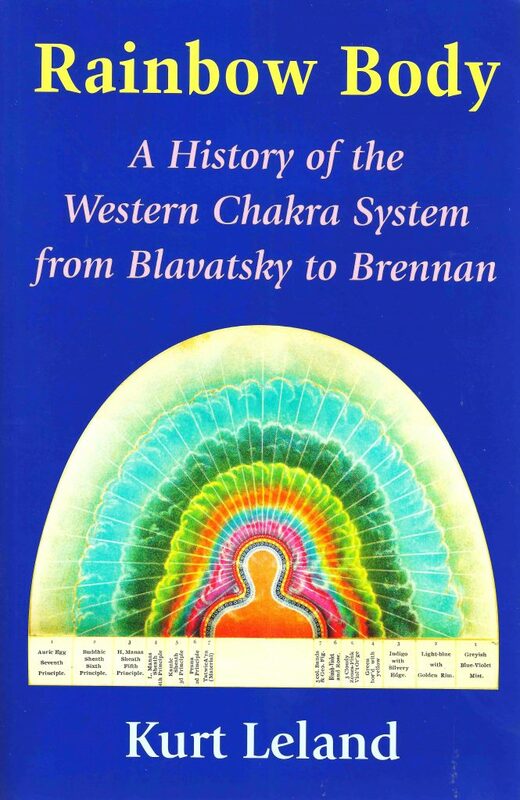 Scores of books have been written on the chakras – the psycho-energetic centers distributed along the spine, perceived clairvoyantly as wheels of light. Based on the teachings of Indian Tantra, the chakras have been used for centuries as focal points for healing, meditation, and achieving a gamut of physical. emotional, and spiritual benefits – from improved health to ultimate enlightenment. Contemporary yoga teachers, energy healers, psychics, and self-help devotees think of the chakra system as thousands of years old. Yet the most common version in use in the West today came together as recently as 1977, the result of an unintentional, century-long collaboration between esotericists, clairvoyants, scholars of Indian philosophy, mythologists, psychologists, yogis, and energy healers. Kurt Leland has written on astral projection, near-death experiences, and the transcendent possibilities of music. He is a National Lecturer for the Theosophical Society America, and a classical musician and composer. He maintains a consulting and teaching practice called ‘Spiritual Orienteering’. Hsün Tzu (born ca. 312 B.C.) set forth the most complete, well-ordered philosophical system of his day. Although basically Confucian, he differed with Mencius, his famous predecessor in the Confucian school, by asserting that the original nature of man is evil. To counteract this evil, he advocated self-improvement, the pursuit of learning, the avoidance of obsession, and constant attention to ritual in all areas of life. He also expounded on such objects as military affairs, Heaven, music, and the rectification of names. On government, Hsün Tzu believed that the rulers of the nation should play a crucial role in the process of educating and uplifting the population. With a translation by the noted scholar Burton Watson, Basic Writings includes an introduction to the philosopher in relation to Chinese history and thought. Readers familiair with Hsün Tzu’s work will find that Whatson’s lucid translation breathes new life into this classic. 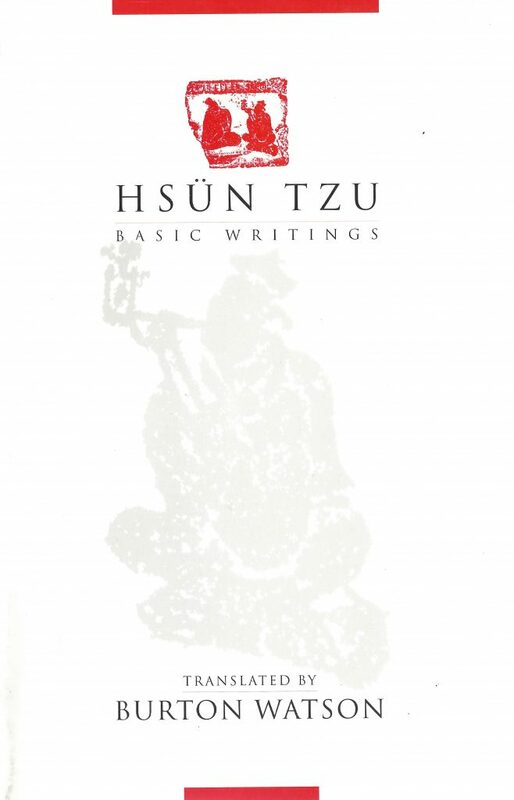 For those not yet acquainted with Hsün Tzu – Basic Writings will reach a new generation whol will find his ideas on government, language, and order and safety in society surprisingly close to the concerns of our age. Door Vicente Hao Chin, Jr.
300 Pagina’s | Eerste druk december 2017 | Softcover | Uitgeverij der Theosofische Vereniging Nederland, Amsterdam | ISBN: 9789061750994. English Original: The Process of Self-Transformation – A Spiritual Guide for Effective Living | First edition, 2015 | Quest Books U.S.A. | ISBN: 9780835609357. Een zelfhulpboek voor persoonlijke, spirituele groei en voor wereldburgerschap, nu in het Nederlands verkrijgbaar. Hao Chin verstaat de kunst om een moeilijk onderwerp als zelf-transformatie in heldere bewoordingen te beschrijven, zelfs zodanig dat de lezer er direct praktisch mee aan de slag kan. De auteur heeft inmiddels gedurende talloze seminars veel mensen door het proces van zelf-transformatie geleid. Emoties, die zich vaak lichamelijk uiten, en moeilijkheden die wij met ons denken opwerpen kunnen een effectief leven, persoonlijke groei en meditatie in de weg staan. 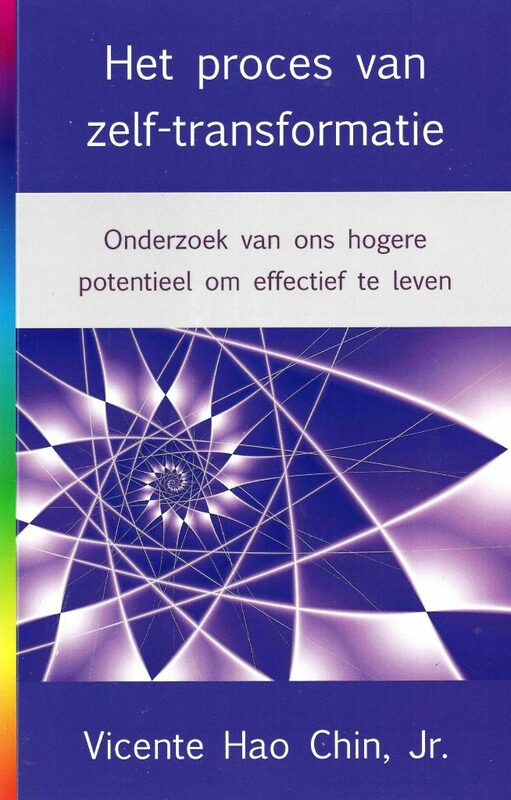 Met de in dit boek beschreven aanpak om problemen via het lichaam bewust gewaar te zijn (self-awareness processing) en vervolgens los te laten, kunnen deze blijvend worden aangepakt. Het boek bespreekt de gevolgen, die een dergelijke bewuste, assertieve en positieve levenshouding kan hebben voor familierelaties, voor opvoeding en onderwijs, en voor wereldburgerschap en vrede. Vicente Hao Chin, Jr. was president van The Theosophical Society (Adyar) in de Filippijnen, is actief in de Theosophical Order of Service, en is de grondlegger van het Golden Link College in de Filippijnen, transformerend onderwijs voor minder bevoorrechte kinderen en jonge mensen. Hij schreef verschillende boeken, stelde de chronologische uitgave samen van de The Mahatma Letters to A.P. Sinnett, is een van de redacteuren van The Theosophical Encyclopedia en leidde zelf-transformatie seminars in meer dan twintig landen ter wereld. auteur: Hao Chin Jr, V.
For many of the ancient traditions and some psychological approaches the great obstructer of the inner development is fear. It generates insecurity; it pressures the searcher to decline his intentions and finally, in order to sleep peacefully, he assumes that retracting and not acting was smart, however he loses the opportunity to experience life. These thoughts are part of the personal shadow. They destroy the possibilities of living and reduce our potential. 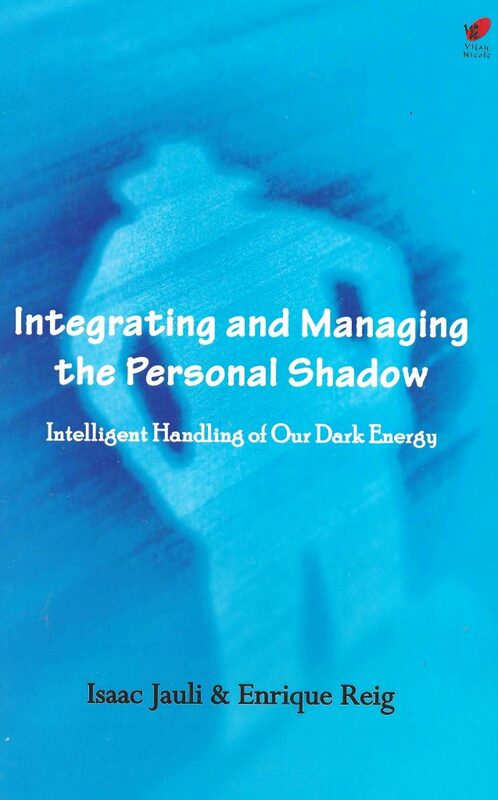 This book explains the personal shadow and its effects on life. The bird’s meaning of life is flying, that’s why it has wings, the snake is to slither and therefore it has a body equipped for this movement. Likewise, human beings possess divine potential and therefore they need to develop that potential. Shadows affect the inner development. Methods to know our personal shadow and how to measure the effect of personal shadow in our lives? 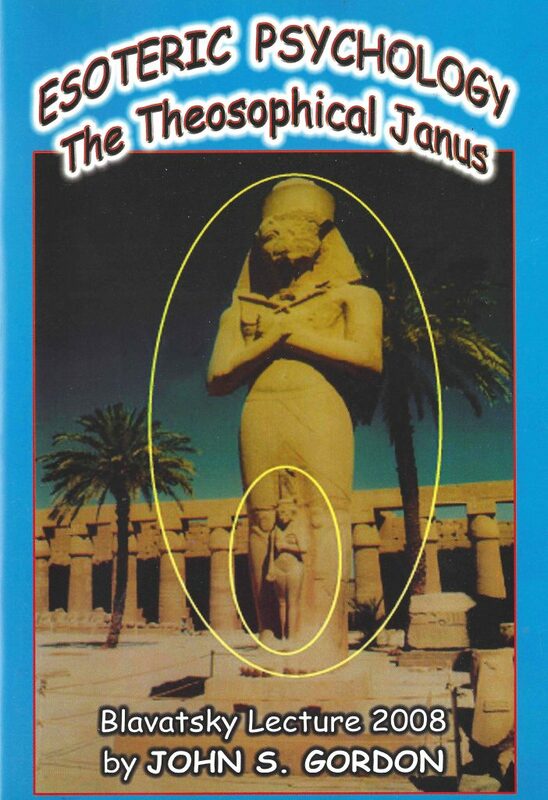 This book also presents ideas and schemas, that combine science, philosophy and the ancient mystical traditions. It aims to help readers integrate their personal shadow and thus lead a fulfilling and productive life. auteur: Jauli, I. and Reig, E.
Oorspronkelijke titel: Les Marches d’Or de Helena P. Blavatsky – Commentées par Danielle Audoin. In het Nederlands vertaald door Saskia Campert. Er bestaat een heel korte tekst, De Gulden Treden, die te weinig bekend is onder theosofie studenten. Men zegt meestal: De Gulden Treden van HPB. Feitelijk is het een tekst die Helena P. Blavatsky (1831 – 1891), evenals een groot deel van haar werk, heeft ontvangen van een van haar Meesters. Een van de ‘Adepten’, die via haar, aan hen die in 1890 haar discipelen waren een leidraad hebben overgedragen, niet allen voor de persoonlijke ontwikkeling, maar ook voor de spirituele ontplooiing en het relationele leven. Mabel Collins (1851-1927), author of The Light On the Path, explores the link between the mystic recurrence of the Earth’s cycles of birth, death and rebirth with the seasonal regeneration of our own spiritual nature. 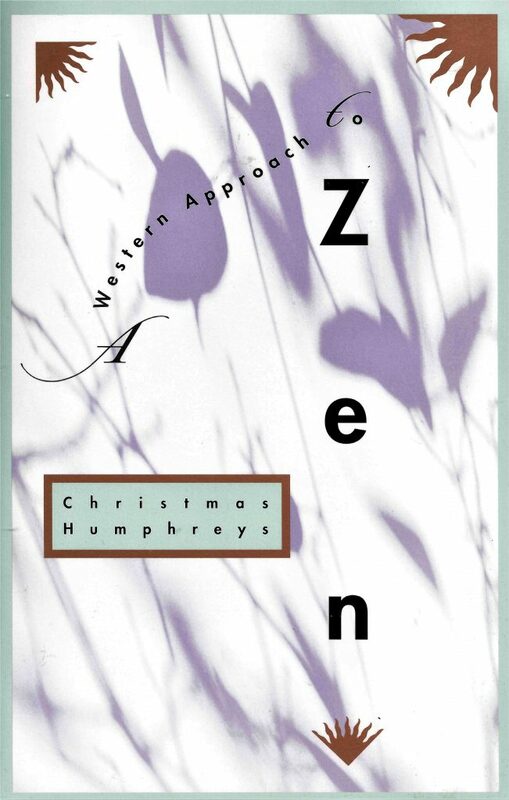 Her meditative prose beautifully evokes the time-less sense of cosmic renewal and the consequent growth of consciousness that has its germination deep within those reflective months of quietude when the sun moves northward. ‘These rules are written for all disciples’. 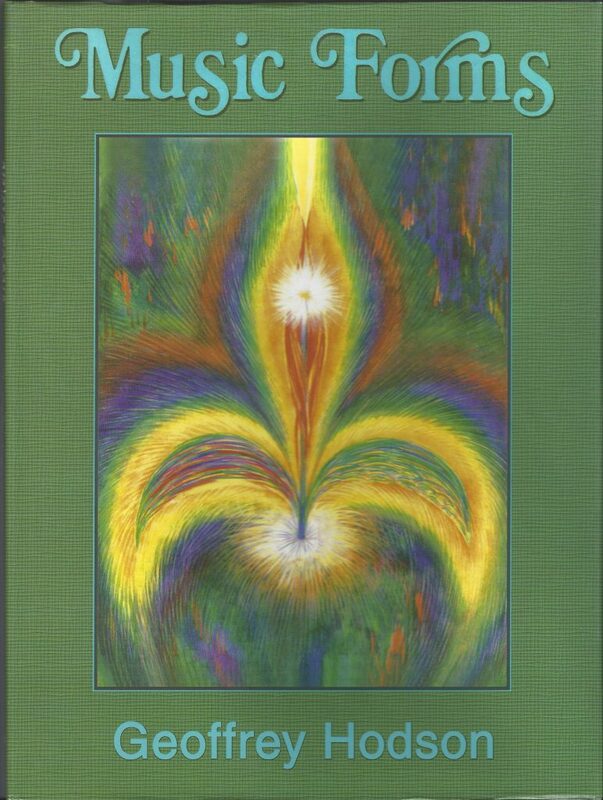 As we have it present, this book was dictated by Master Hilarion through the mediumship of Mabel Collins (1851 – 1927). Master Hilarion received it from his own teacher, the ‘Great One’, who among Theosophical students is sometimes called ‘The Venetian’; but even He is the author only of part of it. It has passed through three phases. 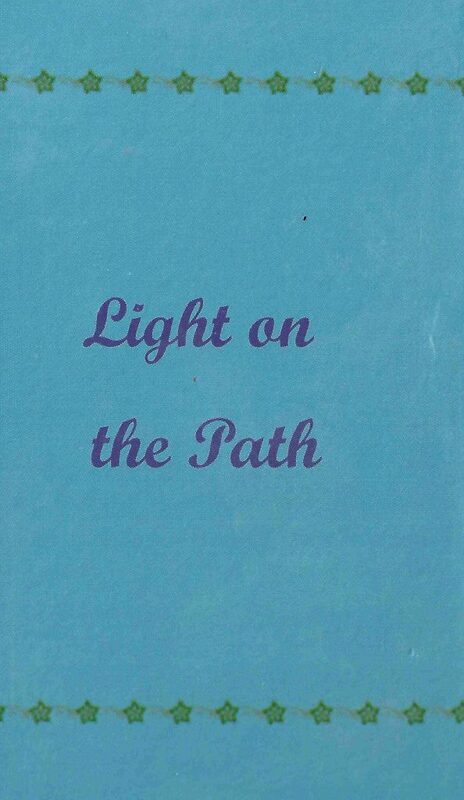 Light on the Path was the first of three treatises, which occupy a unique position in our Theosophical literature – directions from those who have trodden the Path to those, who desire to read it. 191 Pages | 1974, fourth printing 1988, a Quest original | Paperback | Quest Books, USA. 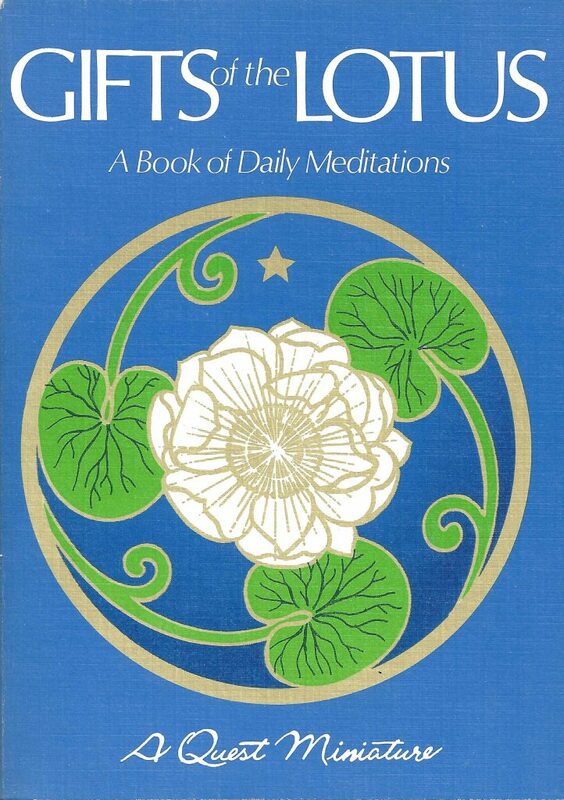 Here are 366 meditations – one for each day of the year. Each from the heart of a spiritually oriented philosopher, from Plato to Emerson to Sri Aurobindo to a host of theosophical students and scholars. Inside of this miniature Quest book is a complete philosophy for living: quiet, short, engaging thoughts, each alive with the spirit of being. In truth, this is not a book to be studied. It is a book to be carried in the pocket or purse. It is a book to be treasured. 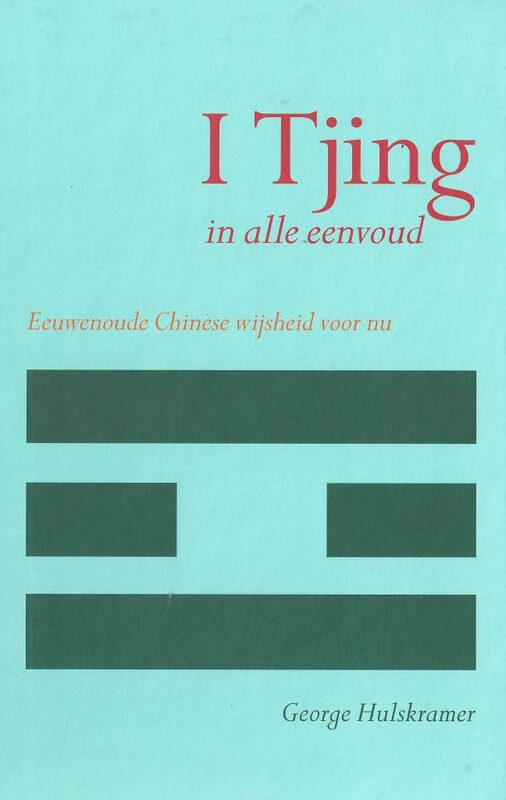 De I Tjing – Het Boek der Veranderingen wordt gezien als het belangrijkste boek uit de Chinese cultuur. De vierenzestig hoofdstukken van het boek bevatten een gesloten orderning, waarin alle veranderingen en situaties in het universum beschreven worden. De I Tjing toont je de wereld als een dynamisch geheel, waarin alles nauw met elkaar verbonden is, niets zonder reden gebeurt en waarin je zelf je levenspad kunt kiezen en bijsturen. Je kunt vragen stellen aan de I Tjing en in symbolische begrippen krijg je daar antwoord op. Hoe je de duizendbladmethode voor het verkrijgen van een antwoord kunt uitvoeren. 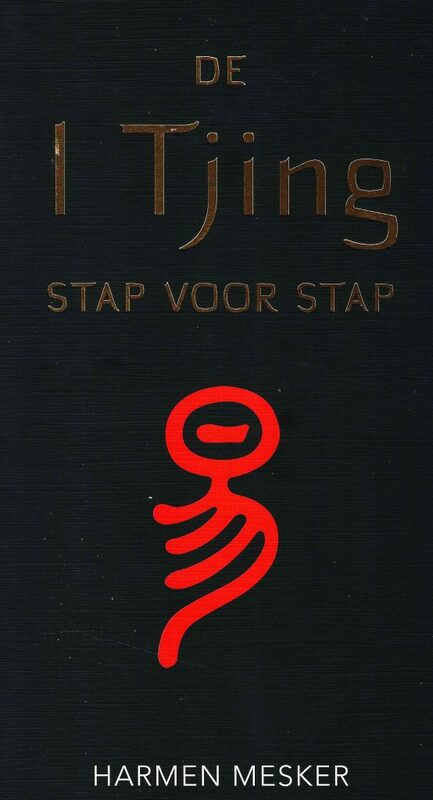 Of je nu op het punt staat een grote of een kleine beslissing te nemen, het meer dan oude Chinese Wijsheids- en orakelboek I Tjing helpt je een stap verder. Alles wat je nodig hebt om dit handzame boekje te gebruiken, zijn drie muntjes, een pen of potlood en een stuk papier. Raadpleeg een van de vierenzestig hexagrammen – zeslijnige patronen – , dat dan tevoorschijn komt en doe er je voordeel mee. I Tjing in alle eenvoud is door zijn formaat, opzet en uitwerking een betrouwbare metgezel, die je overal mee naartoe kunt nemen en die jou nooit in de steek laat. 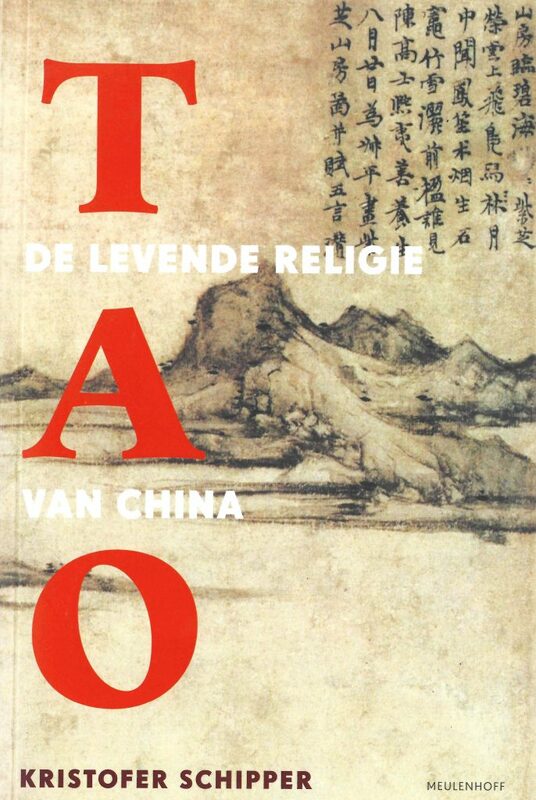 In Tao beschrijft Kristofer Schipper in heldere taal de geschiedenis van de Chinese leer. Hij verdiept zich in de rituelen, die erbij horen en de elementen, waaruit de leer is opgebouwd, zoals de grote aandacht voor het mensenlijk lichaam en de kosmologie. Tao is zowel een uitstekende inleiding voor buitenstaanders als waardevol studiemateriaal voor wie al meer vertrouwd is met de leer. Tao is veel meer dan een godsdienst, het is een manier van kijken en een manier van in het leven staan. Een religie zonder gelovigen en zonder canonieke leerstellingen. Het boek biedt meerwaarde voor iedereen, die meer over China te weten wilt komen. In alles wat in de afgelopen eeuw in dit machtige rijk is voorgevallen, zowel onder het maoïsme als tijdens de gigantische industrialisatie, heeft de Tao bewust of onbewust doorgewerkt. Kristofer Schipper (1934 – heden) was hoogleraar aan de Leidse Universiteit en aan de École Pratique des Hautes Études in Parijs en is opgeleid tot taoïstisch meester. This work sets out to empasize the inner life as a constant moving on and the mover as a pilgrim travelling along an ancient Way. 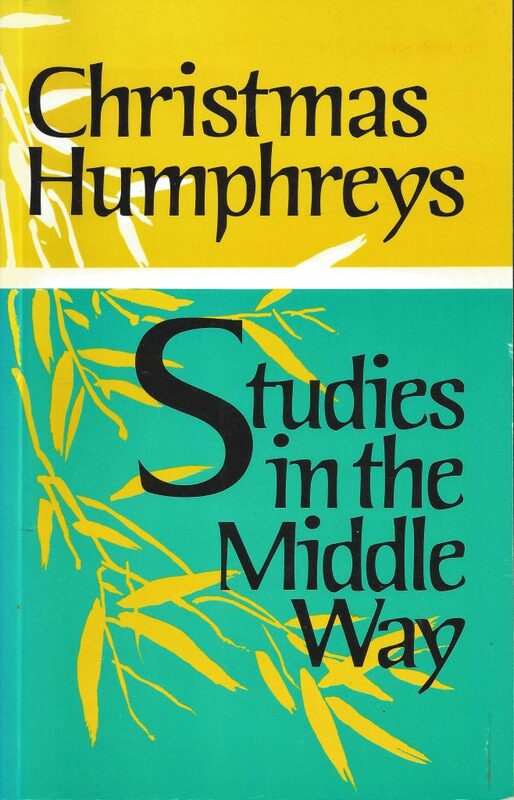 This Way to ulimate Reality was called by Gautama the Buddha the Middle Way, the path between the introverted life of contemplation and the extrovert life of action in the world of men. 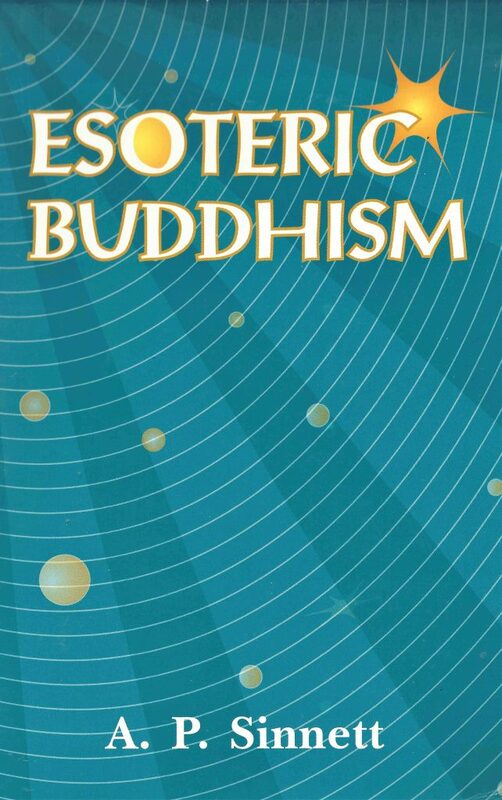 Whilst this book as a whole is of no one school of Buddhism, it aims toward an understanding and also an application of Buddhist priciples in Western society, and a means whereby that Way may be traversed. na vijānāmi yadivedamasmi niṇyaḥ samnaddho manasā carāmi. Upon hearing this famous and enigmatic line from the Gita’s seventh chapter when he was a boy, Ravi Ravindra (1939 – present) embarked on a journey to understand its deep meaning. The search led him far beyond the tradition from which the text originally arose to an exploration of World Mystical Wisdom, including Zen, Christianity, Yoga, and particularly the teachings of J. Krishnamurti (1895 – 1986) and G.I. Gurdjieff (1866 – 1949). Dr. Ravindra’s fresh prose translation with wide-ranging commentary is the fruit of that life-long process. It stands out from the many other versions with its assertion, that the Bhagavad Gita is at heart a universal Guide to navigating the battle of life required of each and every one of us. It is through that navigation, he shows, that we can discover and connect with the KRISHNA deep within ourselves: the Eternal Witness, who is above the battle, and who is, ultimately and joyfully, All there is . . .
” VERILY THOSE WHO HAVE EYES TO SEE MAY SEE, AND THOSE WHO HAVE EARS TO HEAR MAY HEAR “. 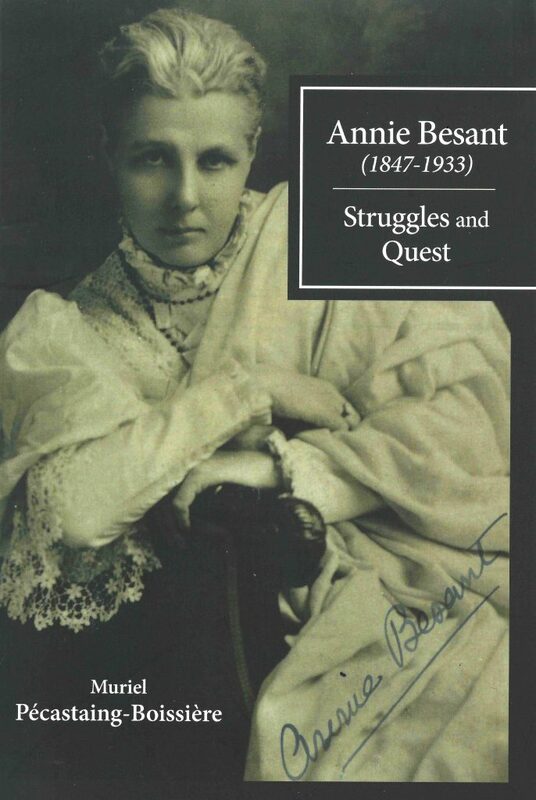 This series of papers consist chiefly of extracts from letters received by Annie Besant (1847 – 1933) from Indian friends. They contain thoughts that have been found helpful, and hence worth sharing with others. They are intended for those, who seek to learn to separate head-learning from soul-wisdom and to live the higher life. 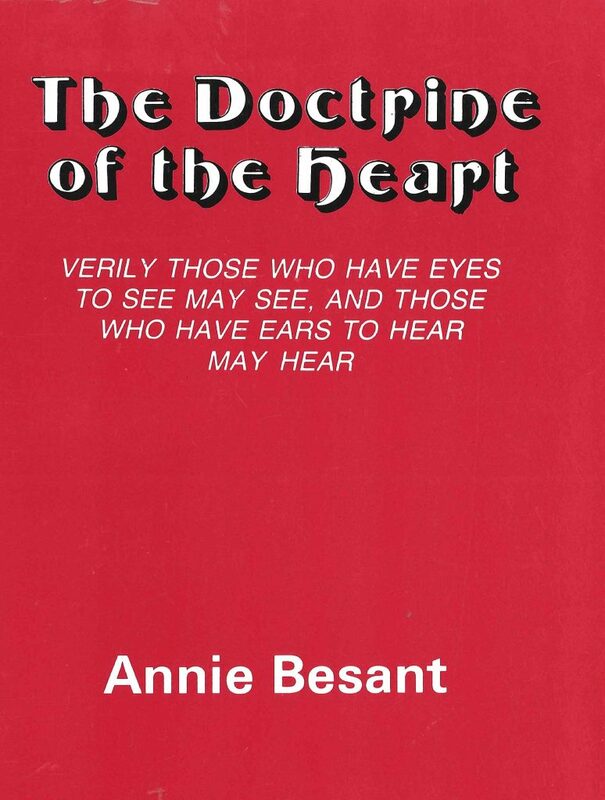 Annie Besant (1847 – 1933) wished, in adding this translation to those already before the public, ‘to preserve the Spirit of the original, especially in its deeply devotional tone; while at the same time giving an accurate translation, reflecting the strength and terseness of the Sanskrit’. She has been eminently succesful, as testified by the appreciation of generations of readers. 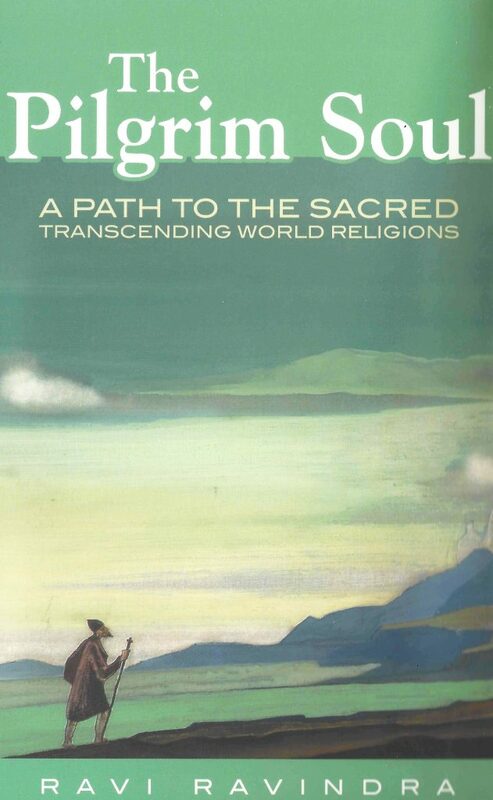 Mahābhārata is ‘one of the greatest books in the world‘ says Annie Besant (1847 – 1933), eminent scholar of Hinduïsm as well as Comparative Religion, and International President of the Theosophical Society (1907 – 1933), in the introduction to this book. 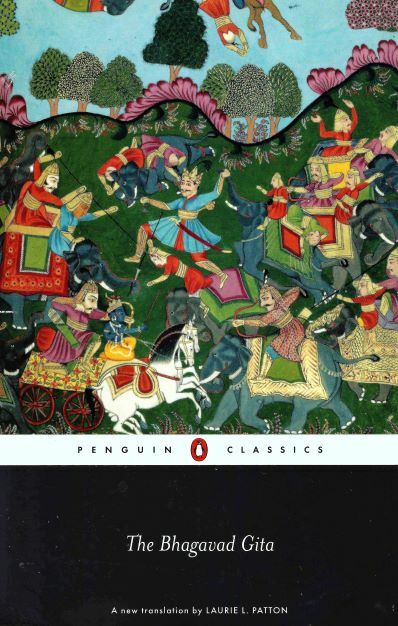 It is the story of the Aryan race in India some 5.000 years ago and includes an account of the epic war between the Pandavas and Kauravas. This book is based on notes of lectures delivered by Besant at the Central Hindu College Beneras (now Varanasi) in the first decade of this century. She describes the Mahābhārata as a great teacher of Ethics and Philosophy, an it is also history. The original Sanskrit verse, she says, ‘is the greatest poem in the world’. ´Dharma´ is a term, which has now become part of the world vocabulary, but very few know the range and depth of its meaning. Annie Besant (1847 / 1933), having studied the great discourse on dharma of Bhisma in the Mahābhārata, introduces this complex and deep subject to the lay reader. Morality or dharma is subtle, varying from individual to individual, for it is the law by which inner nature unfolds in each one from his or her particular stage of evolution. 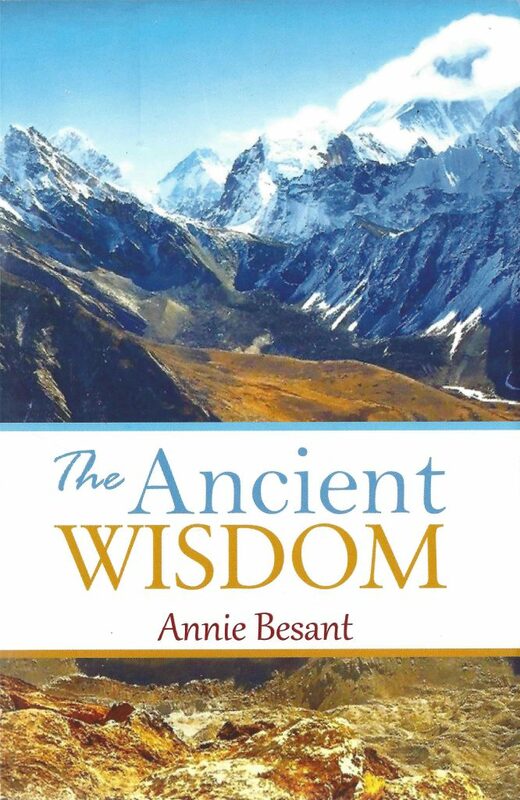 This is a subject of great relevance to all individuals and nations of the world, treated in this book with the innate Wisdom and intuitive insight of the author. Social and political reformer, women’s rights activist, prolific writer and orator extraordinaire, Annie Besant (1847 – 1933) was one of the best-known opinion-formers in late 19th-century- and early 20th century Britain and beyond. As president of the Theosophical Society from 1907 until her death, she made a major contribution to the occult and spiritual revival of the time. In this new biography by Dr. Muriel Pécastaing-Boissière – senior lecturer in British civilization (Victorian Studies) at Sorbonne University, Paris – links are explored between Besant’s freethinking socialism, feminism, criticism of the Empire and conversion to Theosophy. The essence of Theosophical teachings, ‘sufficiently plain to serve the elementary student and sufficiently full to lay a sound foundation for further knowledge‘, is how Annie Besant (1847 – 1933) describes this work. It is an introduction to that ‘Universal Wisdom’, which has been called Theosophy, Brahmā vidyā, the Perennial Philosophy and so on, and provides an all-embracing religion and ethic, as well as a philosophy that is conducive to right understanding and right living. Even those who have a little knowledge of the Ancient Wisdom can experience the illumination, peace, joy and strength it brings into one’s life. For more than one century, Annie Besant’s exposition has brought light to thousands of seekers. By Geoffrey A. Barborka (1897-1982). 564 Pages | Sixth reproduction 2015 | Hardcover | Theosophical Publishing House Adyar | ISBN: 8170591848. Dutch translation: Het Goddelijk Plan (2 Delen) | Uitgegeven in 1973 | Hardcover | Uitgeverij der Theosofische Vereniging in Nederland | ISBN: 9789061750321. This work could be best described as a guide for an in-depth exploration of The Secret Doctrine (1888). Learning topics concerning cyclic evolution, the big cosmic laws, the hiërarchical composition of the universe et cetera are discussed and their underlying cohesion is demonstrated. Challenging concepts – mostly Sanskrit – are explained in a simple way. 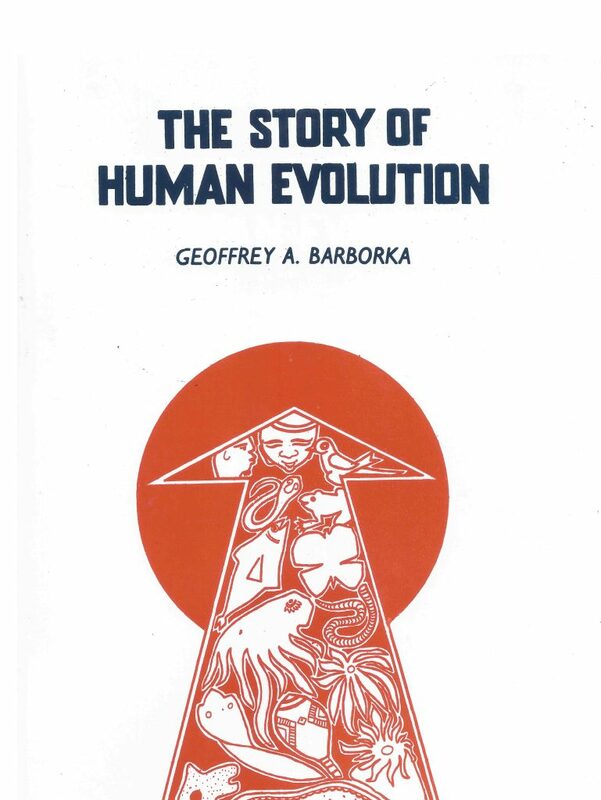 Geoffrey A. Barborka seems to have mastered the art of letting complicated teachings explain themselves as it were, without the interference of his own opinions and interpretations. Dit boek beschrijft hoe de eerste mensen naar de aarde kwamen en de opeenvolgende evolutionaire stadia waar zij doorheen gingen. Het is een commentaar op de tweede reeks van de Stanza’s van Dzyan, die handelen over Antropogenesis. De wijze van voortplanting wordt behandeld, zowel als de continentale systemen waarop de evolutie plaatsvond, zoals Hyperborea, Lemuria en Atlantis. Geoffrey A. Barborka heeft vele studiegroepen in de Geheime Leer begeleid. Andere boeken van hem zijn ook in onze webshop te bestellen. The Pathway to Perfection. A treatise on the Path of swift Unfoldment. 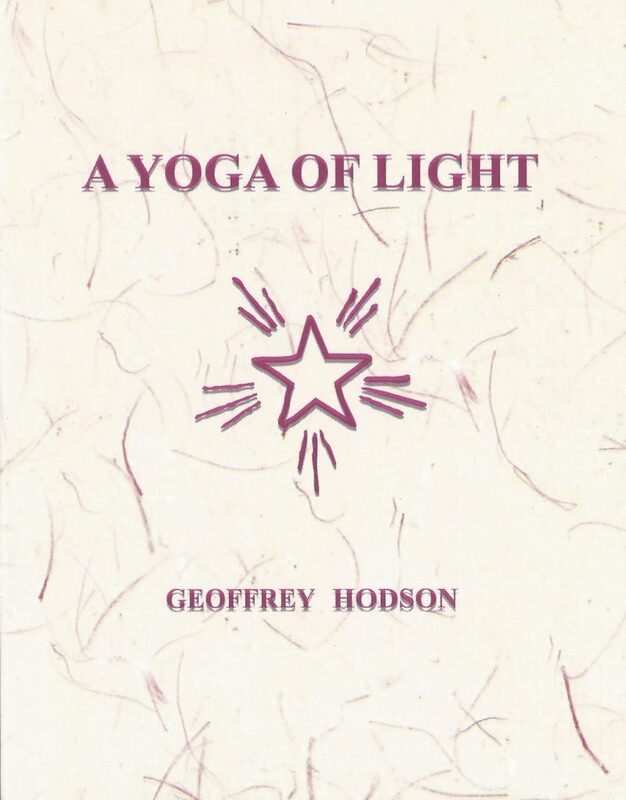 In this book, which is a successor to his earlier work, Meditations on the Occult Life, Geoffrey Hodson communicates the essence of the teachings of Theosophy on the path of swift unfoldment. It gives us some understanding of the whole process of man’s evolution to a state of perfection. The reader glimpses the opportunities, difficulties, pitfalls and ups and downs of the entire journey from Man to Superman. 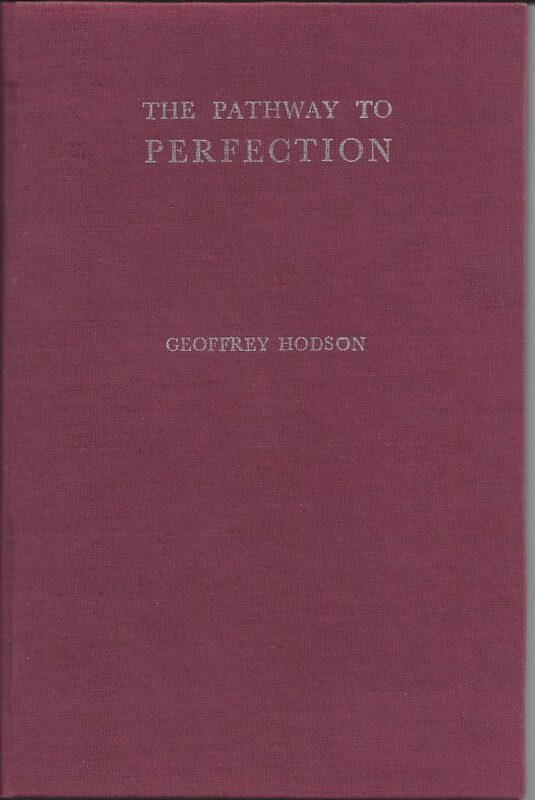 Mr Hodson wrote about forty theosophical books based on his occult investigations, and was awarded the Subba Row Medal in 1954 for his contributions to theosophical literature. Reincarnation, Fact or Fallacy? – An Examination and Exposition of the Doctrine of Rebirth. From the remotest time, belief in the doctrine of Reincarnation has proved an inspiration to countless people, while to others it has been a violation of true religious teaching. 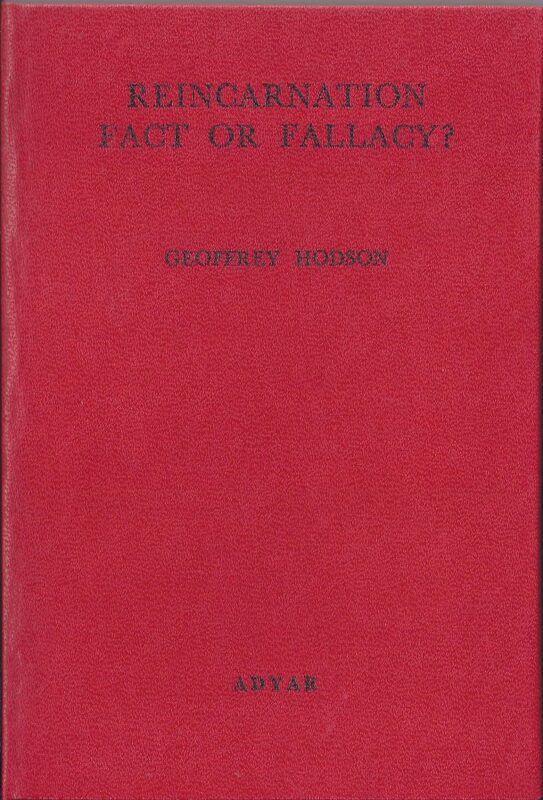 In this little book, Mr Geoffrey Hodson, who studied the subject carefully, discusses basic questions of life such as suffering and divine justice, human destiny, child prodigies and the remembrance of past lives in the light of the Ancient wisdom, to show that the doctrine is in fact, a fact and not fallacy. The first objective of meditation is to discover one’s own Spiritual Selfhood. The second objective is to realize that the Spiritual Self is forever an integral part of the Spiritual Self of the universe. 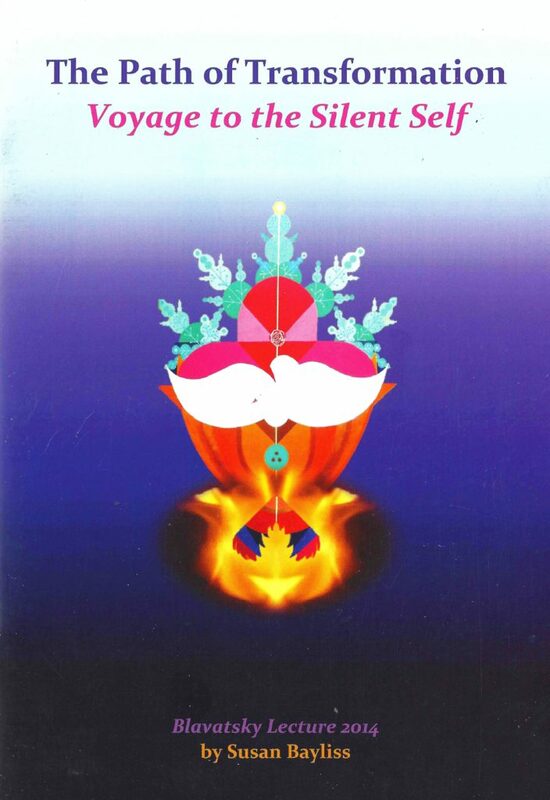 This booklet is offered as preliminary guidance to those who seek a well-tried and safe method. Geoffrey Hodson was born and educated in England, but later lived in New Zealand. A serious student of the Ancient wisdom he strove continuously for the spiritual regeneration of mankind until his death in 1983. Throughout his seventy years of membership, he lectured for the Theosophical Society in most parts of the world. Mr Hodson wrote about forty theosophical books based on his occult investigations, and was awarded the Subba Row Medal in 1954 for his contributions to theosophical literature. 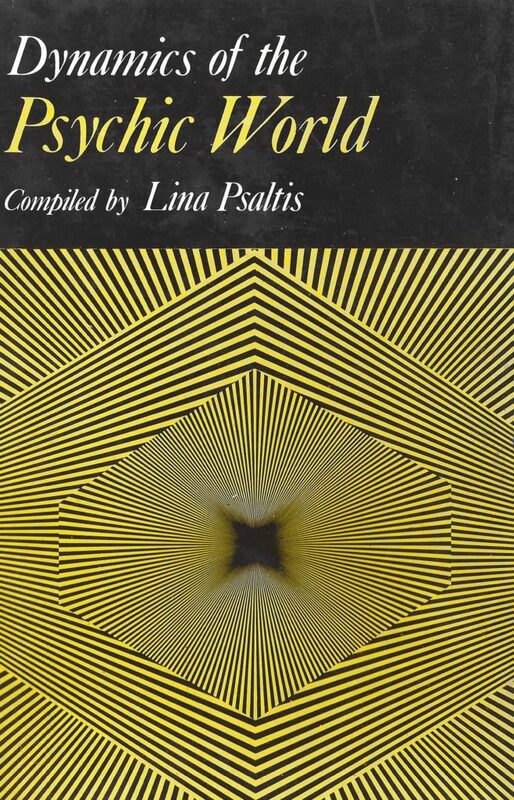 This book records the results of certain clairvoyant investigations carried out by Mr. Geoffrey Hodson on the effects produced by music upon the adjacent matter of the superphysical worlds. Eight compositions, including Handel, Bach, Mozart, Haydn and Wagner were studied and the results are recorded here in words and colour. Mr. Hodson’s observations arising from his clairvoyant research were carefully taken down while each performance was proceeding, and to these descriptions pictures were produced by artists later. The music was under the guidance of Dr. Gordon Kingsley of Beverly Hills Church in Hollywood, California, and he has provided notes on the compositions. Also included is a study of the responses of physical substances to various vibrations, carried out by the Swiss scientist and artist Dr. Hans. Jenny, published here by the permission of the author and the Editor of THE UNESCO COURIER, 1969, in which it appeared.